Yoga Day Retreat at Siljustøl // More pictures! 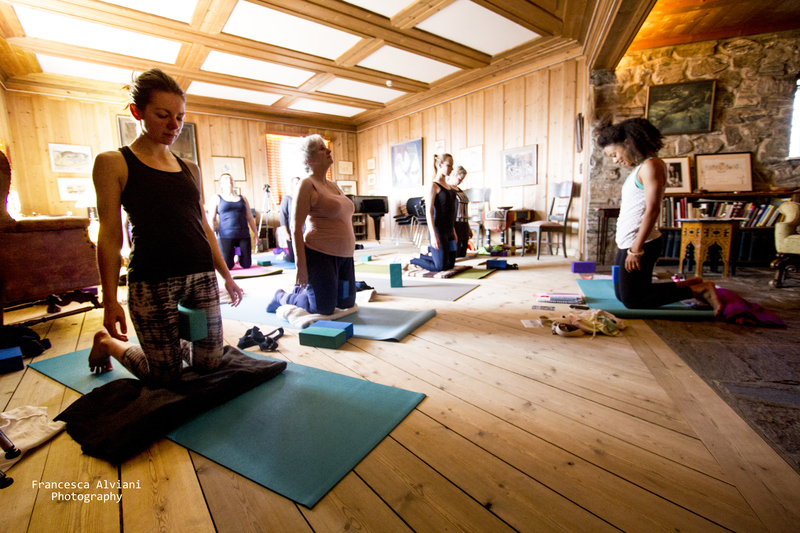 Such a great time spent at Siljustøl Museum for our second Yoga Day Retreat. Here we are clutching blocks between our things. This is always interesting! We rambled through the epic grounds and forest on a voyage of discovery, toads and trolls. I´m not a big troll fan for the record so thanks for the reassurance from the gang. A tantalising tour around Harald Sæverud´s house showed us what a finemann he was (like, totally brilliantly eccentric and fabulous). Such a treat. We played with pigs and oils. Not together. And feasted on nourishing soup plus extra raw treats – yes! The amazing photographer Francesca Alviani captured some moments from this magical day – thank you so much Queen Francesca! More pictures from the event can be seen here and Ketil also put together a short film, SUCH a finemann. Our next Yoga Day Retreat is coming up on Sunday 4 May at Lysøen – we were sold out but just heard we have two spaces available! If you´re interested in getting involved send me a message! This entry was posted in inspiration, lifestyle, news, retreats, workshops & events and tagged Bergen, Harald Sæverud, kunst yoga, Norway, retreat, Siljustøl, trolls, yoga, yoga day retreats, yoga Norway, Yoga retreat. Bookmark the permalink. Lovely pics, looks like it was an amazing day.